Bu çalışmanın amacı; işitsel olarak sunulan kelime listelerinin fonolojik ve akustik benzer olan ve olmayan koşullarda, hatırlamada üç farklı gecikme türü ile sunulduğunda ortaya çıkan sonuçların incelenmesidir. Kısa süreli bellek ile ilgili literatür Alan Baddeley’nin Çalışma Belleği Modeli, James Nairne’in Özellik Modeli ve Dylan M. Jones, Robert W. Hughes ve William J. Macken’ın Algısal Modeli çerçevesinde özetlenmiştir. Kısa süreli bellek çalışmalarında karşımıza çıkan fonolojik benzerlik etkisi, akustik benzerlik etkisi, modalite etkisi ve hatırlamada gecikme; bu modeller doğrultusunda ele alınmıştır. Bu çalışmada Uludağ Üniversitesi’nde eğitim görmekte olan 80 öğrencinin katılımıyla, fonolojik ve akustik olarak benzer olan ve olmayan listeler içindeki beş kelime dört farklı koşulda ve üç farklı gecikme süresi ile test edilmiştir. Sonuçlar incelendiğinde; fonolojik benzerlik etkisinin bu çalışmada da geçerli olduğu, benzer olan kelimelerin daha düşük oranda doğru hatırlandığı; kelime sırasının temel etkisinin geçerli olduğu ve listenin başındaki ve sonundaki kelimelerin daha yüksek oranda doğru hatırlandığı ve gecikme süresinin hatırlama performansı üzerinde anlamlı bir etki göstererek gecikme süresinin artmasıyla hatırlama performansının düştüğü gözlemlenmiştir. Fonolojik benzerlik literatürde daha önce kanıtlananın aksine gecikme süresinin artması ile bilinenin aksi yönde etki etmemiştir. Algısal özellikleri ön plana çıkaran modellerin varsaydığı şekilde akustik benzerlik etkisinin hatırlama performansı üzerinde etkisi olmadığı görülmüştür. Sonuçlar ilgili literatür ve özetlenmeye çalışılan modeller doğrultusunda tartışılmış, bundan sonra yapılabilecek çalışmalar için öneriler sunulmuştur. The aim of this study is to examine the results of the experiment when phonologically and acoustically similar and non-similar word lists of four conditions are presented in three different retention intervals. The relevant literature about short trem memory is summarized within the models of Alan Baddeley’s Working Memory Model, James Nairne’s Feature Model and Dylan M. Jones, Robert W. Hughes, William J. Macken’s Perceptual Model. The effects of phonological similarity, acoustic similarity, modality and retention interval are examined through these models. In the present experiment; phonologically and acoustically similar and non-similar lists of five words are presented in four conditions among three different intervals with the participation of 80 students from Uludag University. After examinig the data it was found that phonological similarity had a main effect as the similar lists were recalled less correctly; serial position had a main effect in terms of recency and primacy; and retention interval had a main effect as the longer the interval gets, the recall performance drops. Phonological similarity proved to be effective as opposed to the findings ine the literature found before. Acoustic similarity had no main effect like theorized as the models that focus the importance on the perceptual features. The results are discussed through the relevant literature and the summarized models and suggestions are made regarding the studies that can be carried out from now on. Atkınson, R.C., Shıffrın, R.M. (1968). Human memory: a proposed system and its control processes. In K.W. Spence (ed. ), The Psychology of Learning andMotivation: Advances in Research and Theory, Vol. 2, 89–195. New York: Academic Press. Baddeley, A. D. (1992). Is working memory working? The fifteenth Bartlett lecture. Quarterly Journal of Experimental Psychology, 44A,1–31. Baddeley, A. D. (2002). Is Working Memory Still Working? European Psychologist, 7: 85-97. Baddeley, A. D., ECOB, J. R. (1970). Simultaneous acoustic and semantic coding in short-term memory. Nature, 227, 288-289. Baddeley, A. D., Larsen, J. D. (2007a). The phonological loop unmasked? A comment on the evidence for a “perceptual-gestural” alternative. Quarterly Journal of Experimental Psychology, 60: 497–504. Baddeley, A. D., Hıtch, G. J. (1974). Working memory. In G. A. Bower (Ed. ), Recent advances in learning and motivation, Vol. 8, pp. 47–89, New York: Academic Press. Baddeley, A. D., Salame, P. (1986). Phonological factors in STM: Similarity and the unattended speech effect. Bulletin of the Psychonomic Society, Vol 24(4), Jul 1986, 263-265. Bower, G. H. (1967). A multicomponent theory of the memory trace. In K. W. Spence & J. T. Spence (Eds. ), The psychology of learning and motivation (Vol. 1). New York: Academic Press. Brown, J. (1985). Some tests of the decay theory of immediate memory. 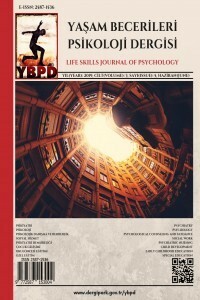 Quarterly Journal of Experimantal Psychology, 10, 12-21.Burgess, N., Hıtch, G. J. (1997). Memory for serial order: A network model of the phonological loop and its timing. Psychological Review, 106:551–81. Conrad, R. (1964). Acoustic confusion in immediate memory. British Journal of Psychology, 55, 75-84. Conrad, R., Hull, A. J. (1964). Information, acoustic confusion, and memory span. British Journal of Psychology, 55, 428-432. Conrad, R., Hull, A. J. (1968). Input modality and the serial position curve in short-term memory. Psychonomic Science, 10, 135–136. Copeland, D. E., Radvansky, G. A. (2001). Phonological similarity in working memory. Memory & Cognition, 29: 5, 774-776. Fournet, N., Juphard, A., Monnier, C., Roulin, J. L. (2003). Phonological similarity in free and serial recall: The effect of increasing retention intervals. International Journal of Psychology, 38: 6, 384–389. Gathercole, S. E., Gardiner, J. M., & Gregg, V. H. (1982). Modality and phonologiacal similarity effects in serial recall: Does one's own voice play a role? Memory and Cognition, 10, 176-180. Healy, A. F. (1975). Coding of temporal-spatial patterns in short-term memory. Journal of Verbal Learning & Verbal Behavior, 14, 481-495. Jones, D. M., Macken, W. J., Nıcholls, A. P. (2004). The phonological store of working memory: Is it phonological and is it a store? Journal of Experimental Psychology: Learning, Memory, and Cognition, 30, 656–674. Jones, D. M., Hughes, R.W., Macken, W.J. (2006). Perceptual organization masquerading as phonological storage: Further support for a perceptual-gestural view of short-term memory. Journal of Memory and Language, 54: 265-281.Jones, D. M., Hughes, R.W., Macken, W.J. (2007). The phonological store abandoned. The Quarterly Journal of Experimental Psychology, 60 (4): 505-511. Mıller, G. A., Galanter E., Prıbram K. H. (1960). Plans and the Structure of Behavior. Holt, Rinehart & Winston: New York. Mıyake, A., Shah, P. (1999). Models of Working Memory: Mechanisms of Active Maintenance and Executive Control. Cambridge University Press: New York. Naırne J. S. (1988). A Framework for Interpreting Recency Effects in Immediate Serial Recall. Memory & Cognition, 16 (4), 343-352. Naırne. J. S. (1990). A Feature Model of Immediate Memory. Memory & Cognition, 18: 3, 251-269. Naırne. J. S. (2002). Remembering Over the Short Term: The Case Against the Standard Model. Annual Rewievs of Psychology, 53:53–81. Naırne, J. S., Kelley, M. R. (1999). Reversing the phonological similarity effect. Memory & Cognition, 27 (1) 45-53. Naırne, J. S., Neumann, C. (1993). Enhancing effects of similarity on long-term memory for order. Journal of Experimental Psychology: Learning, Memory, & Cognition, 19, 329-337. Neath, I. (2000). Modeling the effects of irrelevant speech on memory. Psychonomic Bulletin & Review, 7, 403–423. Naırne, J. S. Whıteman, H. L., Keley, M. R. (1999). Short-Term Forgetting of Order Under Conditions of Reduced Interference. The Quarterly Journal of Experimental Psychology, 52, 1, 241-251. Neath, I., Farley, L. A., Suprenant, A. M. (2003). Directly assessing the relationship between irrelevant speech and articulatory suppression. The Quarterly Journal of Experimental Psychology, 56: 8, 1269 – 1278. Mıyake, A., Emerson, M. J., Padilla F., Ahn, J. C. (2004). Inner speech as a retrieval aid for task goals: the eﬀects of cue type and articulatory suppression in the random task cuing paradigm. Acta Psychologica, 115. 123–142. Surprenant, A. M., Neath, I., Lecompte, D. C. (1999). Irrelevant Speech, Phonological Similarity, and Presentation Modality. Memory, 7: 4, 405-420. Tehan, G., Humphreys, M.S. (1998). Creating proactive interference in immediate recall: Building a dog from a dart, a mop and a fig. Memory and Cognition, 26, 477-489. Tehan, G., Hendry, L., Kocınskı, D. (2001). Word length and phonological similarity effects in simple, complex and delayed serial recall tasks: implications for working memory. Memory, 9 (4-6), 333-348.